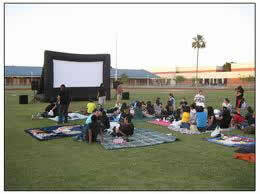 Special #1: Backyard Outdoor Movie Night book early promotion! Special #2 Become a fan and save! “Like Us” on Facebook and receive exclusive discounts. 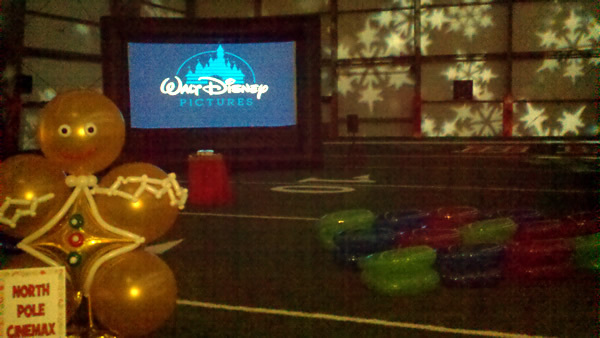 One of our “fans” will also receive $100 gift certificate good for any of our inflatable projection screen rentals. “Like Us” for your chance to win! Receive a $50 gift certificate for referring a friend who books any of our indoor or outdoor movie screen rental packages. Outdoor Movie and Bounce House special! Bounce 1st then watch the Flick! We also provide Bounce House rentals in Columbus and surrounding communities. Book any of our movie rental packages and instantly receive $75 off any of our Bounce Houses inflatable rentals! The ultimate backyard party! Rent one of our blow up movie screen rental packages and receive $25 off any of our concession rentals. We provide Popcorn machine rentals, Snowcone machine rentals and Cotton Candy machine rentals ! The perfect backyard party rental! Book multiple events within a given calendar year and receive $100 off instantly for your 2nd event and $150 off your 3rd event! Non-Profit organizations receive 10% off instantly! Rent a Movie Screen - Go to packages page.